Spoiler alert: you're eating too many. Some people are under the impression that nuts are healthy and that’s that. Unfortunately, nothing is healthy when you have too much and for nuts, too much comes way sooner than you’d think. 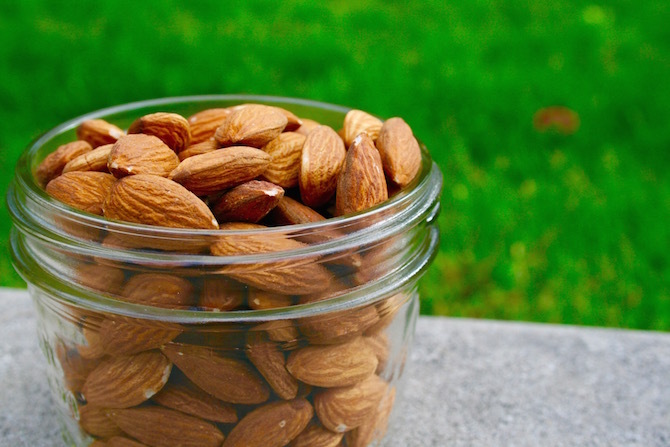 If you’ve ever thought that it’s fine to fill up on almonds instead of having a full meal, you were probably hurting your body more than you were helping it. It’s recommended to eat about one ounce of nuts per day, so here’s what that looks like in terms of each nut. Although almonds are very healthy, they’re also high in fat and calories. If you’re munching on almonds at every meal you might want to reconsider because each ounce has 163 calories and 14 g of fat, according to Livestrong. The recommended serving of almonds according to a one ounce per day system is about 23, which makes sense if you consider that three ounces of almonds would add almost 500 calories to your daily intake. This isn’t just the case for whole nuts, it remains true for almond flour and almond butter as well. Cashews are deliciously creamy which makes them great sauce substitutes but also makes them very addictive. 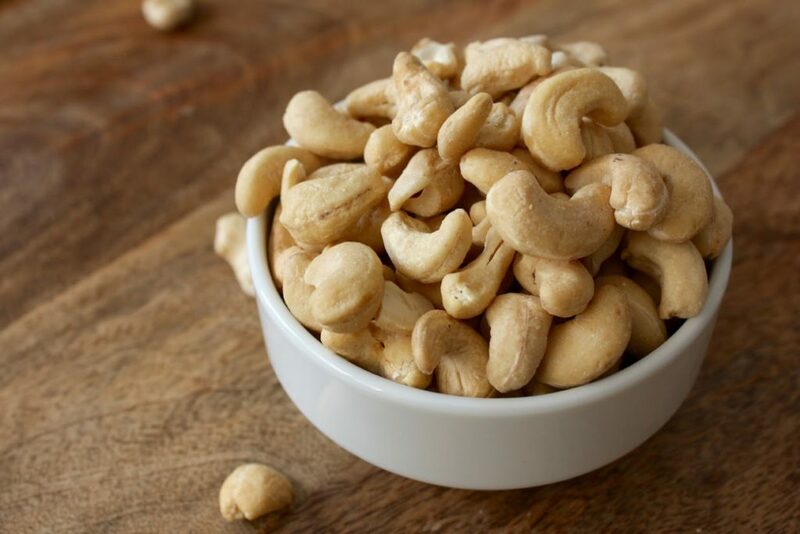 Weight-management expert Dr. Gargi Sharma says that we should really only be eating 4-5 cashews a day. Super disappointing. It’s recommended not to go over that amount for various reasons but one of the more unique reasons is that some people might be sensitive to the amino acids tyramine and phenylethylamine in the nut and it can cause headaches. Walnuts have a million health benefits so if you’re not already incorporating them into your diet you should definitely start. They’ve proven to be beneficial in treating type 2 diabetes and reducing the risk of cancer. Of course, you don’t want to overdo it. Seven whole shelled nuts is the recommended amount of walnuts per day. The side effects of eating too many walnuts can be bloating or loosened stool, both of which don’t sound very pleasant so it’s best to limit yourself. 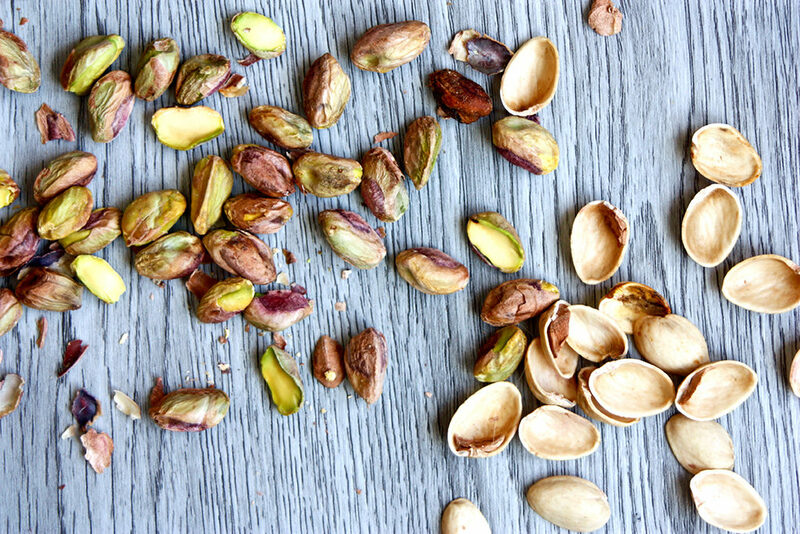 For pistachios, it’s recommended that you eat 1-2 handfuls a day because they’re pretty high in calories. Three ounces will cost you about 400 calories which is a shame because pistachios are so easy to crack open and enjoy that it’s easy to lose count. Always be careful about how the pistachios are served, or any nut for that matter. Pistachios by themselves do not contain very much sodium but if you’re eating a couple handfuls of salted nuts, your sodium intake will shoot way up. 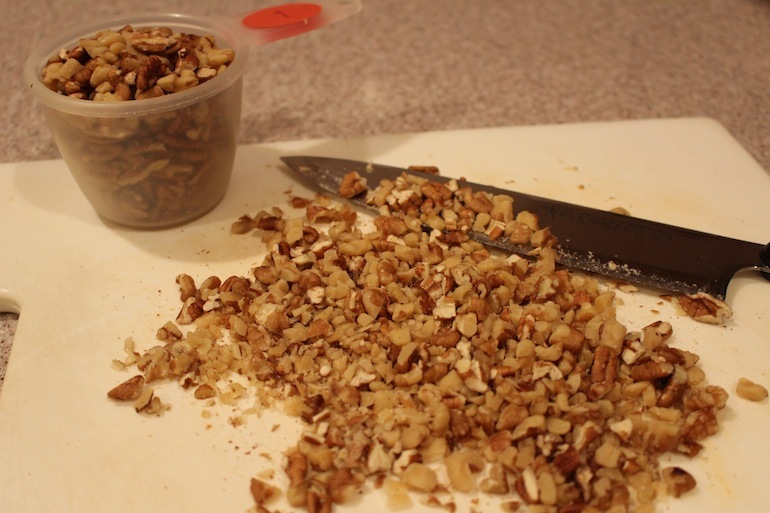 Pecans help fight heart disease and cancer as well as boost your immune system. 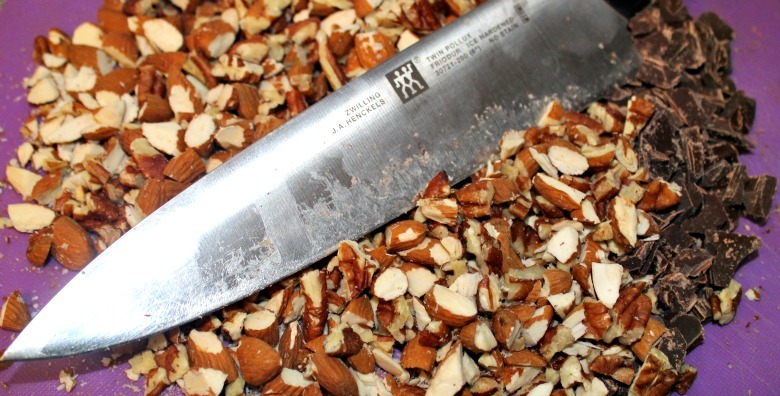 Following the one ounce of nuts per day rule, you should be eating about 15 pecan halves. Pecans are great for vegetarians because they make an excellent substitute for meat. Packed full of protein and cholesterol-free, these nuts are a good idea for non-vegetarians too. Brazil nuts are probably the easiest to overeat, not because they’re that good, but because you should not be having more than two per day. That’s right just two, and some people even recommend just eating one. 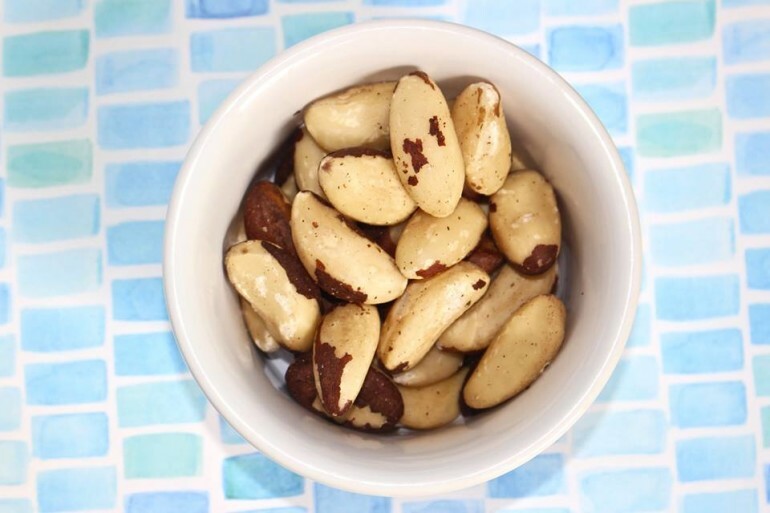 Brazil nuts are very high in selenium, and too much selenium can cause brittle hair and nails. The good news is that they’re also full of potassium which can lead to a better night’s sleep. 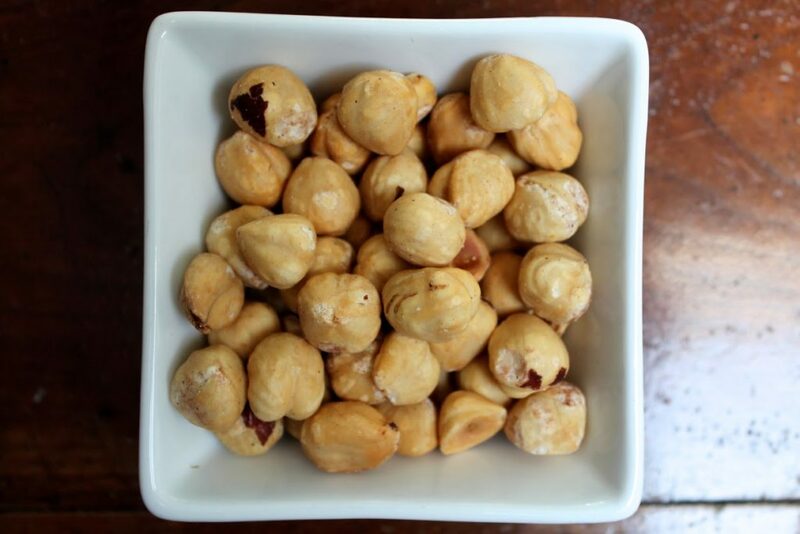 These definitely aren’t a snacking nut, but it’s beneficial to have one a day to help you snooze. You can safely eat one small handful of hazelnuts without contributing to weight gain. Some of the benefits of this nut includes fibre which helps with heart health, manganese which helps with healing wounds, and vitamin E which helps your body use vitamin K properly. Hazelnuts also have a higher amount of proanthocyanidin than any other tree nut. This antioxidant helps reduce the risk of UTIs and blood clotting.